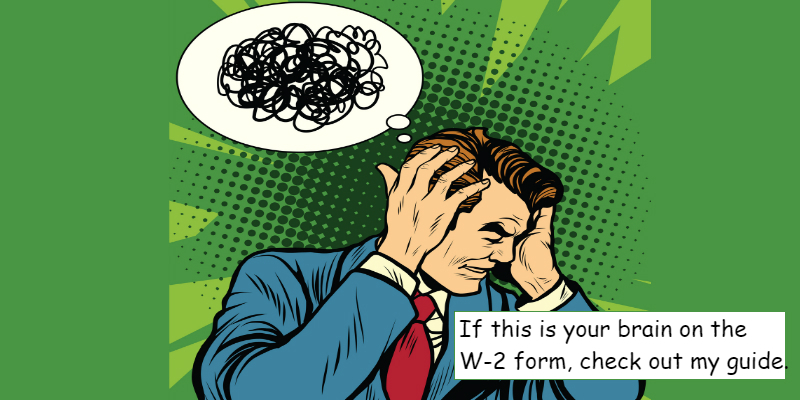 Over the next few weeks, as your employees start to receive their 2018 W-2 form, they will most likely have questions as to what all those numbers mean. For example, it is not uncommon for a salaried employee who earns $50,000 per year question why their Box 1 Wages only reflects $45,000. The response is, ‘do you contribute to a pension plan or have pre-tax insurance, then if so those amounts reduce your “taxable” wage, which is what appears in Box 1’. To assist you with those questions, here is an explanation of what is in each box and what all of those boxes and codes mean. Box 1: Wages, tips, and other compensation. Box 1 reports your total taxable wages for federal income tax purposes. This figure includes your wages, salary, tips you reported, bonuses, and other taxable compensation. Any taxable fringe benefits (such as group term life insurance) are also included in your Box 1 wages. Any pretax insurance (health, dental, vision, etc.) or deferred compensation (401(k), 403(b), IRA, etc.) withheld from your wages has been subtracted from your gross pay amount to be included in this box. Box 2: Federal income tax withheld. Box 2 reports the total amount withheld from your paychecks for federal income taxes. This represents the amount of federal taxes you have paid-in throughout the year based on your federal withholding status and number of allowances claimed. Box 3: Social Security wages. Box 3 reports the total amount of wages subject to Social Security taxes. For 2018, the Social Security tax is assessed on wages of $128,400 or less. If Box 3 shows an amount over $128,400, you will need to have your employer correct your W-2. Tips reported to your employer are not included in the Box 3 amount. Tip income is reported in Box 7. Any pretax insurance withheld from your wages has been subtracted from the amount in this box. Deferred compensation does not affect the amount reported in Box 3. Box 4: Social Security tax withheld. Box 4 reports the total amount of Social Security taxes withheld from your paychecks. The Social Security tax is a flat tax rate of 6.2% for wages up to a maximum of $128,400. Wages above $128,400 are not subject to the Social Security tax. The maximum figure shown in Box 4 should be $7,960.80 ($1278,400 maximum wage base times 6.2%). If you have two or more jobs during the year, and your total wages exceed $128,400, you may have excess Social Security taxes paid-in. You will claim the excess as a refund on Personal Income Tax Form 1040, Line 67. Box 5: Medicare wages and tips. Box 5 reports the amount of wages subject to Medicare taxes. There is no maximum wage base for Medicare taxes for 2018. The amount shown in Box 5 may be larger than the amount shown in Box 1. Medicare wages includes any deferred compensation, 401(k)/403(b) contributions, or other fringe benefits that are normally excluded from the regular income tax, but any pretax insurance has been subtracted from the amount in this box. Deferred compensation does not affect the amount reported in Box 5. Box 6: Medicare tax withheld. Box 6 reports the amount of taxes withheld from your paycheck for the Medicare tax. The Medicare tax is a flat tax rate of 1.45% of your total Medicare wages. For wages greater than $200,000, the flat tax rate increases to 2.35%. Box 7: Social Security tips. Box 7 reports the amount of tip income that you reported to your employer. If you did not report tips to your employer, you will not have an amount in this box. The amounts in Box 7 and Box 3 should add up to the amount in Box 1, or the $128,400 maximum wage limit for Social Security taxes. Box 8: Allocated tips. Box 8 reports any tip income that your employer thinks you may have earned, but failed to report. This amount is not included in the wages reported in Boxes 1, 3, 5, or 7. Instead, you must add this to your taxable wages on Form 1040 Line 7, and must calculate your Social Security and Medicare taxes on this tip income using IRS Form 4137. Taxpayers with any amount shown in Box 8, Allocated Tips, should seek the advice of a tax preparer to figure out the best strategy for handling this situation. Employees with allocated tips must file Form 1040. Box 11: Non-qualified Plans. Box 11 reports any amounts distributed to you from your employer’s non-qualified deferred compensation plan or non-government Section 457 pension plan. The amount in Box 11 is already included as taxable wages in Box 1. Box 12: Deferred Compensation and Other Compensation. There are several types of compensation and benefits that can be reported in Box 12. Box 12 will report a single letter or double letter code followed by a dollar amount. (See the box codes below). Box 13: Check the Box. There are three check boxes in Box 13. Boxes will be checked off if any of these situations apply to you as an employee. Statutory employee means that you must report the wages from this W-2 (and any other W-2 forms marked “statutory employee”) on Form 1040 Schedule C. Your wages are not subject to income tax withholding (there will be a zero or blank amount in Box 2), but are subject to Social Security and Medicare taxes (so Boxes 3 through 6 will be filled out). Statutory employees are strongly urged to use tax preparation software to calculate their taxes. Retirement plan means that you participated in your employer’s retirement plan during the year. This might be a 401(k) plan, profit-sharing plan, or pension plan. As a participant in a retirement plan, your ability to contribute to a tax-deductible traditional IRA may be limited. Third-party sick pay means that you received sick pay under your employer’s third-party insurance policy. (Instead of receiving sick pay directly from your employer as part of your regular paycheck.) Sick pay is not included in your taxable wages. Box 14: Other Tax Information. Your employer may report additional tax information in Box 14. If any amounts are reported, they will have a brief description of what the amounts are for. For example, union dues, employer-paid tuition assistance, health insurance premiums you paid, or after-tax contributions to a retirement plan will be reported here. Some employers report certain state and local taxes in Box 14, such as State Disability Insurance (SDI) premiums. Box 15: State and State Employer’s Identification. Box 15 reports your employer’s state and state tax identification number. If you worked for the same employer in multiple states, there may be multiple lines of information. Box 16: State wages. Box 16 reports the total amount of taxable wages earned in that state. If you worked for the same employer in multiple states, there may be multiple lines of information. Box 18: Local wages. Box 18 reports the total amount of wages subject to local, city, or other state income taxes. Box 19: Local income tax withheld. Box 19 reports the total amount of taxes withheld from your paychecks for local, city, or other state income taxes. Box 20: Locality name. Box 20 provides a brief description of the local, city, or other state tax being paid. The description may identify a particular city, or may identify a state tax such as State Disability Insurance (SDI) payments. Code A – Uncollected Social Security or RRTA tax on tips. Include this amount as part of your total tax on Form 1040. Code B – Uncollected Medicare tax on tips. Include this amount as part of your total tax on Form 1040. Code C – Taxable benefit of group term-life insurance over $50,000. Amount is already included as part of your taxable wages in Boxes 1, 3, and 5. Code D – Non-taxable elective salary deferrals to a 401(k) or SIMPLE 401(k) retirement plan. Code E – Non-taxable elective salary deferrals to a 403(b) retirement plan. Code F – Non-taxable elective salary deferrals to a 408(k)(6) SEP retirement plan. Code G – Non-taxable elective salary deferrals and non-elective employer contributions to a 457(b) retirement plan. Code H – Non-taxable elective salary deferrals to a 501(c)(18)(D) tax-exempt plan. Code J – Non-taxable sick pay. This amount is not included in taxable wages in Boxes 1, 3, or 5. Code K – Excise tax (equal to 20%) on excess “golden parachute” payments. Include this amount as part of your total tax on Form 1040. Code L – Non-taxable reimbursements for employee business expenses. Code M – Uncollected Social Security or RRTA tax on taxable group term life insurance over $50,000 for former employees. Include this amount as part of your total tax on Form 1040. Code N – Uncollected Medicare tax on taxable group term life insurance over $50,000 for former employees. Include this amount as part of your total tax on Form 1040. Code P – Non-taxable reimbursements for employee moving expenses, if the amounts were paid directly to the employee. Code Q – Non-taxable combat pay. Some individuals may elect to include combat pay when calculating their Earned Income Credit. Code R – Employer contributions to an Archer Medical Savings Account. This amount should be reported on IRS Form 8853. Code S – Non-taxable salary deferral to a 408(p) SIMPLE retirement plan. Code T – Employer paid adoption benefits. This amount is not included in Box 1 You must use IRS Form 8839 to calculate the taxable and non-taxable portion of these adoption benefits. Code V – Income from the exercise of non-statutory stock options. This amount is already included as taxable income in Boxes 1, 3, and 5. See also, how to report stock options. Code W – Employer contributions to your Health Savings Account. Report this amount on IRS Form 8889. Amount is included in Boxes 1,3, and 5. Code Y – Salary deferrals under 409A non-qualified deferred compensation plan. Code Z – Income received under 409A non-qualified deferred compensation plan. This amount is already included in taxable wages in Box 1. This amount is subject to an additional tax of 20% plus interest as part of your total tax on Form 1040. Code AA – After-tax contributions to a Roth 401(k) retirement plan. Code BB – After-tax contributions to a Roth 403(b) retirement plan. Code CC – Wages paid for which the employer reported eligible under the HIRE Act. Code DD – Cost of Employer Sponsored health coverage. This amount is not taxable. Code EE – After-tax contributions to a governmental Roth 457(b) plan. Code FF – Permitted benefits under a qualified small employer health reimbursement arrangement (QSEHRA). Maximum reimbursement for 2018 is $5,050 or $10,250 for reimbursements that include family members. Code GG – Income from qualified equity grants under section 83(i). Code HH – Aggregate deferrals under section 83(i) elections as of the close of the calendar year.